How Dirt Makes You Happy! Prozac may not be the only way to get rid of your serious blues. 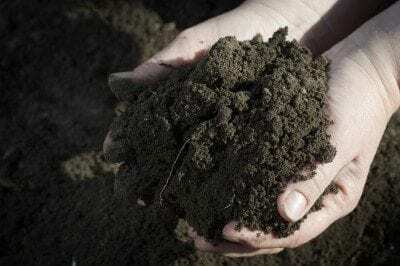 Soil microbes have been found to have similar effects on the brain and are without side effects and chemical dependency potential. Learn how to harness the natural antidepressant in soil and make yourself happier and healthier. Read on to see how dirt makes you happy. Natural remedies have been around for untold centuries. These natural remedies included cures for almost any physical ailment as well as mental and emotional afflictions. Ancient healers may not have known why something worked but simply that it did. Modern scientists have unraveled the why of many medicinal plants and practices but only recently are they finding remedies that were previously unknown and yet, still a part of the natural life cycle. Soil microbes and human health now have a positive link which has been studied and found to be verifiable. Did you know that there’s a natural antidepressant in soil? It’s true. Mycobacterium vaccaeis the substance under study and has indeed been found to mirror the effect on neurons that drugs like Prozac provide. The bacterium is found in soil and may stimulate serotonin production, which makes you relaxed and happier. Studies were conducted on cancer patients and they reported a better quality of life and less stress. Lack of serotonin has been linked to depression, anxiety, obsessive compulsive disorder and bipolar problems. The bacterium appears to be a natural antidepressant in soil and has no adverse health effects. These antidepressant microbes in soil may be as easy to use as just playing in the dirt. Most avid gardeners will tell you that their landscape is their “happy place” and the actual physical act of gardening is a stress reducer and mood lifter. The fact that there is some science behind it adds additional credibility to these garden addicts’ claims. The presence of a soil bacteria antidepressant is not a surprise to many of us who have experienced the phenomenon ourselves. Backing it up with science is fascinating, but not shocking, to the happy gardener. Mycrobacterium antidepressant microbes in soil are also being investigated for improving cognitive function, Crohn’s disease and even rheumatoid arthritis. Antidepressant microbes in soil cause cytokine levels to rise, which results in the production of higher levels of serotonin. The bacterium was tested both by injection and ingestion on rats and the results were increased cognitive ability, lower stress and better concentration to tasks than a control group. Gardeners inhale the bacteria, have topical contact with it and get it into their bloodstreams when there is a cut or other pathway for infection. The natural effects of the soil bacteria antidepressant can be felt for up to 3 weeks if the experiments with rats are any indication. So get out and play in the dirt and improve your mood and your life. “Identification of an Immune-Responsive Mesolimbocortical Serotonergic System: Potential Role in Regulation of Emotional Behavior,” by Christopher Lowry et al., published online on March 28, 2007 in Neuroscience.